Have you ever heard of the wishing cup that was found in Tutankhamen's tomb? The Wishing cup from Tutankhamens tomb. • Translation of the ancient text upon the cup. 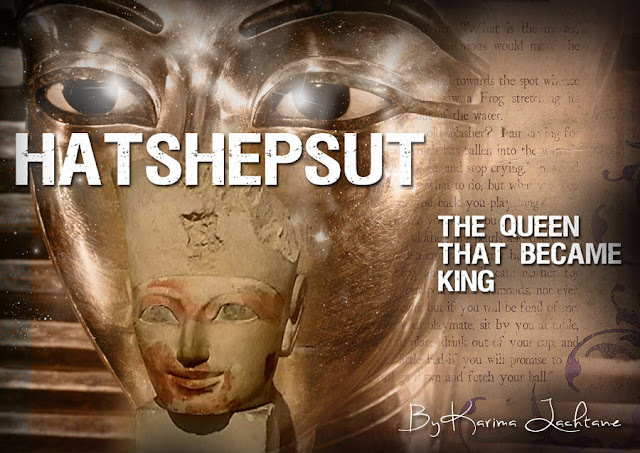 • Did the wishing cup belong to Tutankhamen? 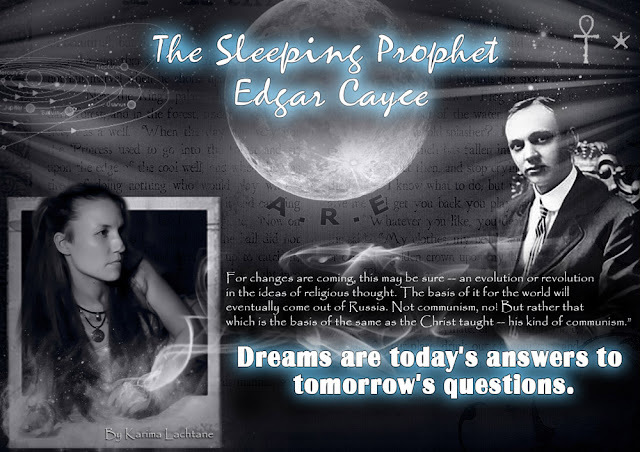 These are the 3 questions that this short article post will analyze. The artistic hands that formed this chalice was truly a great artist of their time (?). Carter chose to call it the Wishing cup, because the chalice bears the inscription of a wish or a prayer. The Wishing cup can be found in the Cairo museum in room 20, which is the room where you find the things found in the tomb of Tutankhamen. It is carved alabaster and has a height of 18.3 CM. It is beautifully carved with hieroglyphs that are painted with blue color. Translation of the ancient text on the chalice. "Live, thy Ka, and mayst thou spend millions of years, thou lover or Thebes, sitting with thy face to the north wind, and thy eyes beholding felicity." 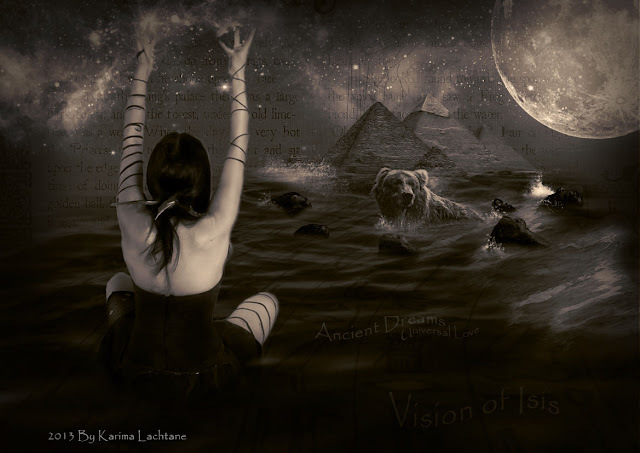 "May your Ka live for ever, may you, who love Thebes, spend millions of years with your face to the north wind, and may your eyes see joy." The illustrated guide to the Egyptian museum in Cairo. What I found here seems more complex than I can explain in a blog post, but I will give you some hints. First off as I have said before, all hieroglyphic can be translated much further than what is normally done or shared. Egypt Nedukheper-Ra, give life, to the son of Ra Amun-tut-ankh, everlasting"
Every aspect of this chalice is filled with a sense of timelessness. From the chalices elegant Lotus shape to the cups handles themselves, it is a true masterpiece. The handles are made up by different numeral symbols as well as centering on a timeless mythology from ancient Egypt. The sitting man is central, and his name is Heh and he stands for 1,000,000. 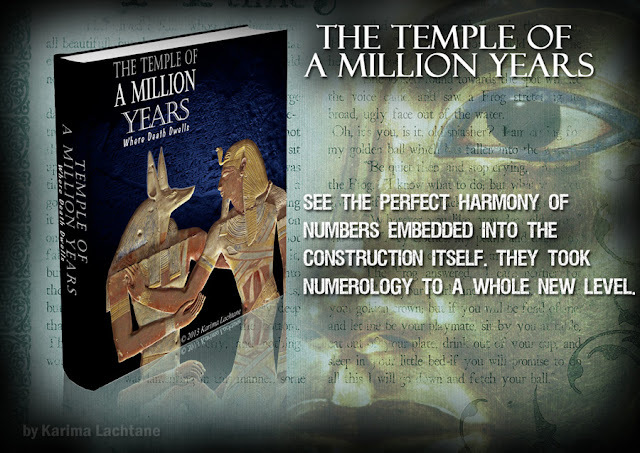 Not only should he be seen as a number, but he is also essential to the cosmos mythology, being one of the eight pillars that hold up the heaven. You should not see this as a person, or a personification of such, because it is more like an idea/ a concept which belongs to the concepts of time, which is not a factual calculation which we tend to judge it today. 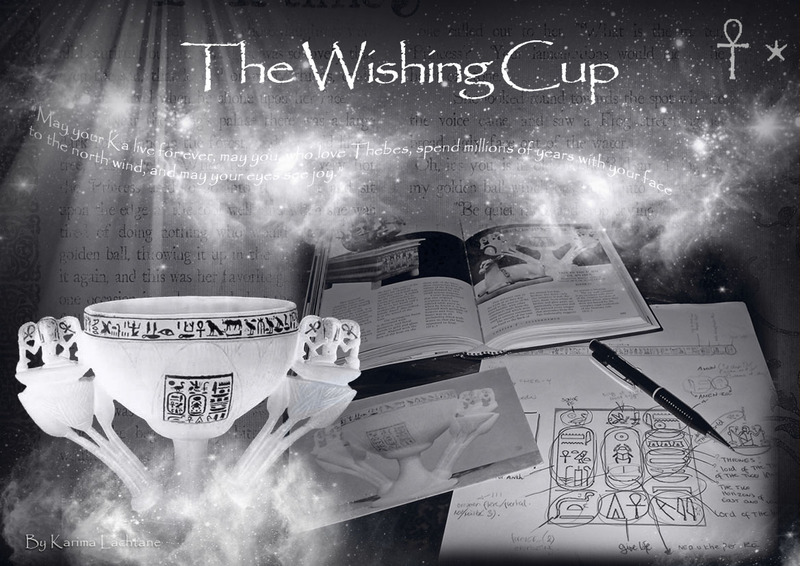 Did the wishing cup belong to Tutankhamen? 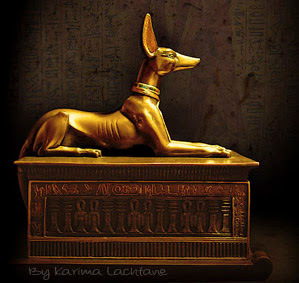 It is well known that a lot of the things that were found in Tutankhamen's tomb, did not belong to him. It is also widely known that the tomb was robbed in ancient times. With this is mind, we find some very unusually and beautifully made alabaster things, which have always made me wonder.. When I first heard that, way back, my first thought was: If the tomb had been robbed, then why is there still a lot of gold which could easily have been carried out. The answer to this is pretty simple, they filled up the tomb with other peoples belongings. This also explains another question which bugged me back in the days. 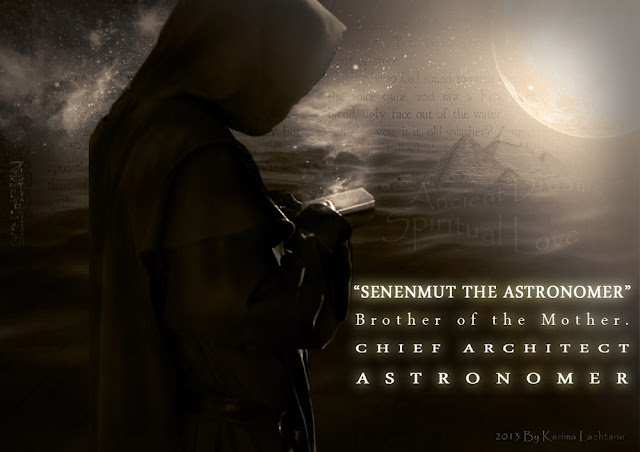 Seti I one of the greatest kings (pharaohs) of his time, and after. His body is on display in the Cairo museum, and his alabaster sarcophagi (coffin) is found in England (I really have a dilemma with the fact that an eternal resting place have been messed up so much), the question that I have always asked; where is Seti I belongings. I suspect much of his belongings were made in alabaster if possible, because of his sarcophagi (coffin). 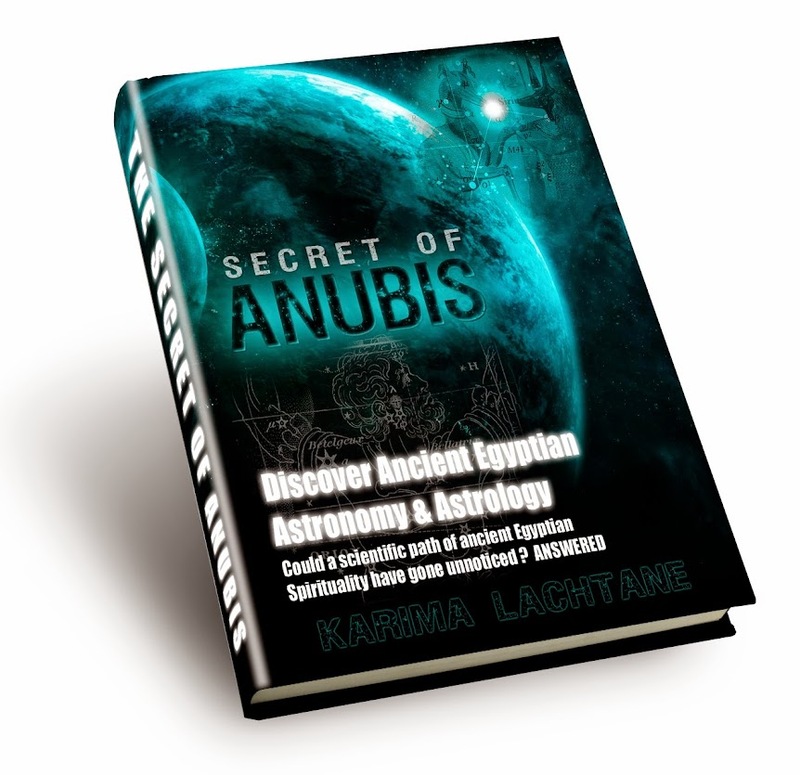 Tutankhamen seems to have followed his father and stepmothers use of material, which was mostly gold, the direct connection to Atum and the Sun. I have the personal opinion that this beautiful relic the wishing cup, most probably belonged to the Pharaoh (king) Seti I. And I see it as a ceremonial chalice that was used in the temple of Abydos. In my mind the cup looks almost perfectly made for the Blue Lotus drink, those colors would have bounced off each other.